1961-10 CUBA 1961 MNH. DIA DEL SELLO. STAMP DAY. BLOCK 4. 1961-124 CUBA 1961. Ed.861-69. MNH. DECLARACION DE LA HABANA. 3 IDIOMAS DIFERENTES + HOJA. 1961-125 CUBA 1960. Ed.890-04. MNH. NAVIDADES CHRITSMAS, BIRDS, AVES, SNAIL, CARACOLES, MARIPOSAS, BUTTERFLIES. 1961-126 CUBA 1960. Ed.890-04. MNH. NAVIDADES CHRITSMAS, BIRDS, AVES, SNAIL, CARACOLES, MARIPOSAS, BUTTERFLIES. 1961-2 CUBA 1961 MNH. ONU. NACIONES UNIDAS. PALOMA. HOJA FILATELICA. PIGEON. SPECIAL SHEET. 1961-35 CUBA. 1961. Ed.885hc HABILITADOS. AVION. ERROR HABILITACION CALCADA AL REVERSO MNH. 1961-9 CUBA 1961 MNH. DIA DEL SELLO. STAMP DAY. 1961.113 CUBA 1961 MNH. Ed.883. EXPO FILATELICA. FIRST PHILATELIC EXPO SURCHARGE. 1961.114 CUBA 1961 MNH. Ed.886-889. CAMPAÑA DE ALFABETIZACION. LITERACY CAMPAING. 1961.115 CUBA 1961 MNH. Ed.880. LABOR DAY. PRIMERO DE MAYO. JESUS MENENDEZ. 1961.116 CUBA 1961 MNH. Ed.882. ANIVERSARIO 26 DE JULIO ASALTO AL MONCADA. 1961.117 CUBA 1961 MNH. Ed.871-76. XV ASAMBLEA NACIONES UNIDAS. NU. PALOMA BIRD PIGEON. 1961.120 CUBA 1961 MNH Ed.885 8c AIR MAIL AVION SURCHARGE ERROR 3 x 8 cts. 1961.121 CUBA 1961 MNH Ed.885 8c AIR MAIL AVION SURCHARGE BLOCK 4. 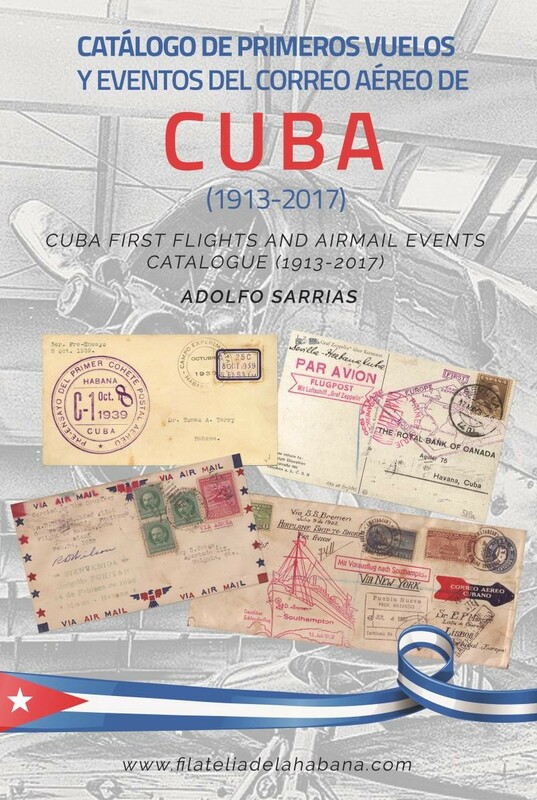 1961.122 CUBA 1961 MNH Ed.885 8c AIR MAIL AVION SURCHARGE BLOCK 6. 1961.24 CUBA 1961. Ed.861-70. DECLARACION DE LA HABANA. GOMA MANCHADA. 1961.30 CUBA 1961. Ed.880. HOMENAJE A JESUS MENENDEZ. PRIMERO DE MAYO. LABOR DAY. MNH. 1961.31 CUBA 1961. Ed.880. HOMENAJE A JESUS MENENDEZ. PRIMERO DE MAYO. LABOR DAY. MNH. BLOCK 4. 1961.65 CUBA 1961. MNH. Ed.871-874. ASAMBLEA DE LA ONU. PALOMA. PIGEON. BIRD. PAJAROS. AVES. 1961.66 CUBA 1961. MNH. Ed.871-874. ASAMBLEA DE LA ONU. PALOMA PIGEON BIRD PAJAROS AVE BLOCK 4. 1961.67 CUBA 1961. MNH. Ed.871-874. ASAMBLEA DE LA ONU. PALOMA PIGEON BIRD PAJAROS AVE BLOCK 4. 1961.69 CUBA (LG-1014) 1961. XV ASAMBLEA NACIONES UNIDAS. PALOMA PIGEON BIRD AVES. COMPLETE SET SHEET MANCHAS. 1961.70 CUBA (LG-1015) 1961. XV ASAMBLEA NACIONES UNIDAS. PALOMA PIGEON BIRD AVES. COMPLETE SET SHEET MANCHAS. 1961.91 CUBA 1961 2c Ed.88 HABILITADO PARA 8cts. AVION AIRPLANE. BLOCK 4. MNH.